A few days back, ASUS announced the Zenfone AR and Zenfone 3 Zoom at CES 2017 in Las Vegas. The Taiwanese company has now introduced the latest Android 7.0 Nougat update for its Zenfone 3 smartphone. 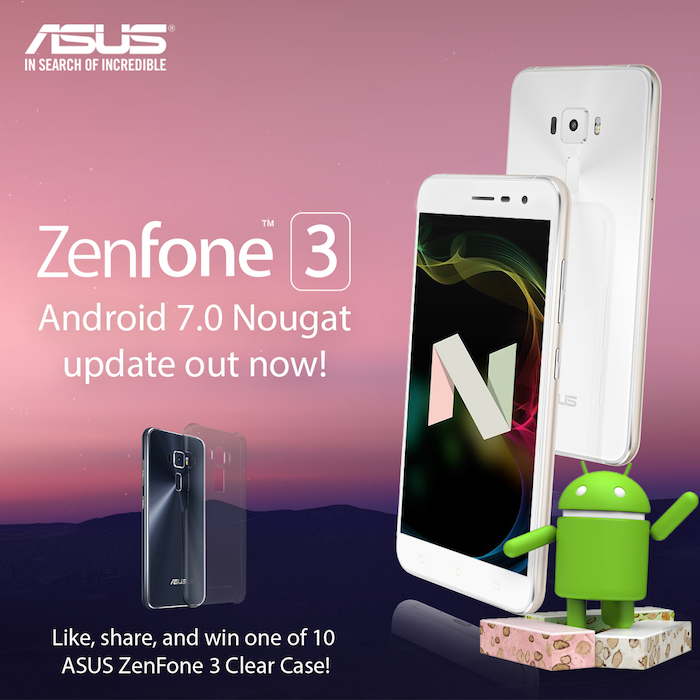 Asus has officially announced the availability of Zenfone 3 Nougat update via its Facebook page and is also running a small contest to celebrate it. The Zenfone 3 comes in 2 variants – ZE520KL (5.2-inch) & ZE552KL (5.5-inch), both of which will be getting the Android 7.0 update. However, the update currently seems to be rolling out in Philippines and we haven’t got the update on our Zenfone 3 in India yet. Apparently, such major updates are rolled out in batches and could take a while before hitting globally. The Android 7.0 OTA update for Zenfone 3 brings the flavour of Nougat with features like multi-window support allowing users to access two apps at the same time along with new and improved notifications system. In addition to other enhancements and features offered by Nougat, the improved Doze mode helps in achieving a greater battery life. 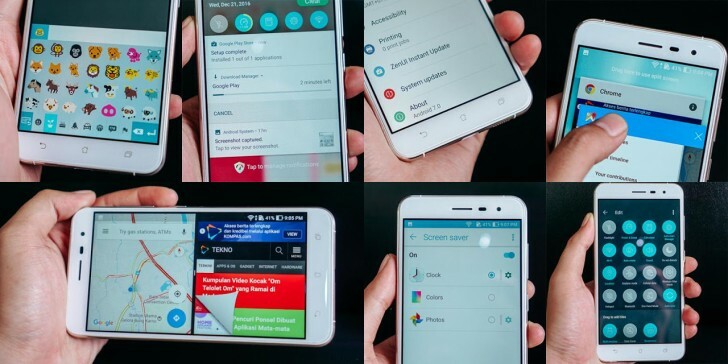 We look forward to see how far Asus has gone in customizing the Nougat software via its ZenUI which already packs a lot of customization options and settings. Let’s see when Asus rolls out the update in India and other regions worldwide. Meanwhile, you can check our Zenfone 3 review that we posted earlier. Stay tuned for more info! If my memory serves me right, there was another smartphone in the past that used the multi-window application system, I think it was a Samsung. There was from Samsung and LG as well.